Memories & Treasures-Expressions & Images Custom Framing Inc.
Special memories will live in our hearts forever. 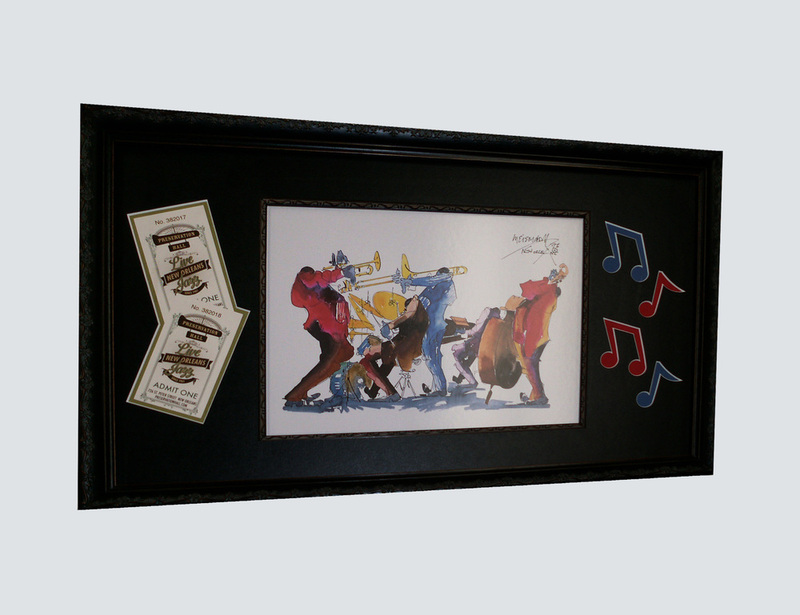 Seeing them lovingly preserved in a custom frame allows us to enjoy and relive them everyday. Treasured memories and lifetime achievements are shared and passed down for generations. We will help you capture and preserve your keepsakes with timeless details. If you or someone you know is planning a tribute to a life well-lived, we recommend you bring in everything you think of and we will help you select and arrange them to suit your taste and enhance their value. Do you know someone special, whose deeds, actions or achievements are worth celebrating? Dedicated volunteers, a supportive mentor or teacher, or a long serving employee - a special tribute is remembered forever. Concerts, theatre, and sporting events are always a memorable occasion. When combined with a trip, even better. Relive the moment in time by framing a personalized collage, designed to suit your unique taste. Vacations are a wonderful time to relax and rejuvenate and we often bring home special souvenirs - seashells from the beach, trinkets from the market and canvases and artwork from the local artists. Preserving them in a frame will keep the memories from fading away. TIP: If you have brought home a canvas from a beach vacation it is recommended you get it restretched and framed as soon as possible. Our climate is much dryer and the canvas could start to dry out and crack. Our photo mats are a popular gift item for weddings, baby showers, birthdays, graduations, coaches & grandparents. They can be customized to suit your needs with clip art and are a fun way to celebrate pets, holidays and your children's achievements in sports, music, dance and the arts. It is quick and easy to insert and change the photos yourself. Call us with your ideas. Where will your next adventure take you? Start your collection today. We understand your picture is precious and we ensure it is always handled with care and respect.